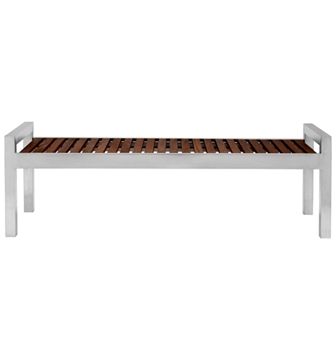 Our commercial slatted steel park benches are designed to last years in the toughest public environments. 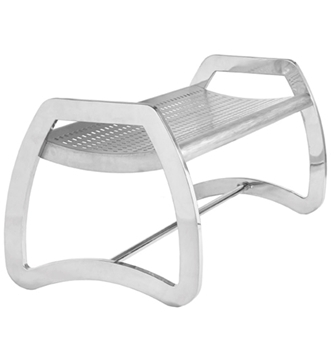 Crafted out of heavy-duty stainless steel, ideal for areas with constant foot traffic. Available lengths range from 4 to 8 feet long to perfectly accommodate any popular public setting. 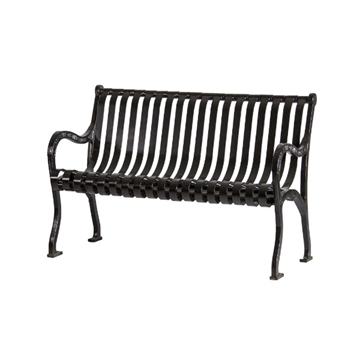 Our slatted steel contoured benches add comfort to patrons backs perfect for public parks and bike trails nationwide. Choose between your choice of portable or surface mount to better fit your specific needs. 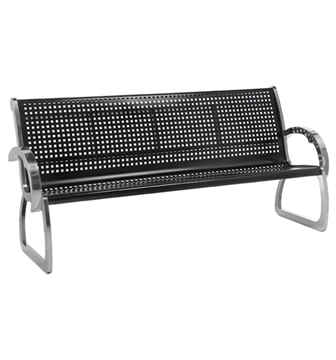 Order online or call our staff today for expert assistance on commercial park benches. We have the perfect picnic tables and trash receptacles to match! We also offer plastic coated picnic tables and trash cans that complement our slatted steel park benches to create the perfect outdoor picnic experience. Call our friendly staff to make a quote with quantity discounts and save on shipping costs! We have assisted in furnishing many large projects, call to find out how we can help you stay in your budget.